Tidal may be used to pulling publicity stunts to set itself apart (remember the whole business with The Life of Pablo "never, never, never" coming to Apple Music? ), but the music streaming service's latest feature manages to be noteworthy and low-key at the same time. Tidal subscribers on iOS and Android now have access to a feature called Track Edit to tweak a song's tempo and length. Accessible from the options menu, the edited track can be saved to a playlist and played like a normal song. There wasn't much explanation to go along with Tidal's new feature and, at first, it seems like kind of a "eh" addition. However, if you're a fan of crafting playlists or otherwise putting a personal spin on your music, it's a feature that's sure to catch your eye - or rather, ear. First and likely foremost, trimming the ends of your top-played tracks makes for a more seamless stream of music. Cutting off overlong intros and fading out early when the song's been going on for eight minutes is an easy way to keep the momentum going on a good playlist. It's also an adept way to extract specific segments of a song you want on hand without scrubbing to the right moment - something useful for, say, bar trivia rounds or people collecting their favorite bass drops/hot rhymes/violin solos/what have you. Adjusting tempo also allows makes for more complex playlist making, allowing songs to blend in better with songs that otherwise wouldn't match - a major plus if you're trying to sneak slower jams into your "Party All Night" mix, or practicing your amateur DJ skills. By contrast, competitors like Apple Music and Spotify don't have much in the way of editing how songs play. Both allow crossfading between tracks, but it's a simpler feature and not customizable on a song-to-song basis. 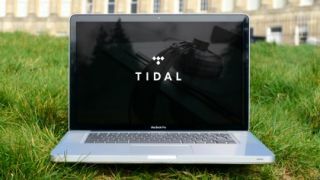 A mysterious addition it may be, Tidal's Track Edit could actually help it stand out in the crowded pool of music streaming services, especially considering that Tidal's emphasis on high-fidelity audio already attracts the kind of crowd who take their tunes seriously. Apple Music vs Tidal vs Spotify - which music streamer is for you?